THE CHALLENGE TODAY FOR AUTHORS, IS NOT GETTING THEIR EBOOKOS OR KINDLE PUBLISHED! BUT GETTING NOTICED. In the Book Writing industry exposure is everything! The market is competitive and you need to try what most aren't doing to get results. I can get you in front of the right people. It's all about promoting your book & having it be seen. Don't wait any longer & have the world see your book! I can do this for you in very short time. 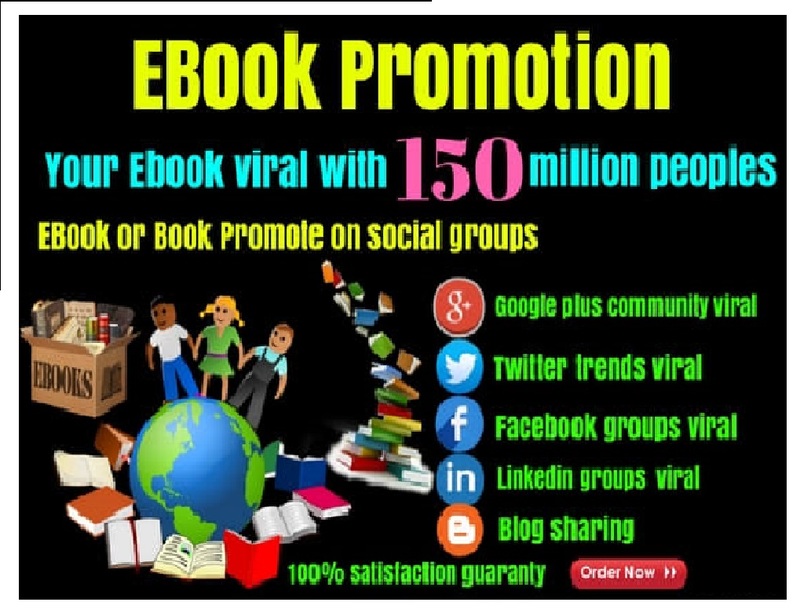 I will do a book promotion to top kindle reader groups on Facebook, kindle websites or through my em-ail subscribers having more than 500,000 members. The more people I reach for you the more clicks you will have and the more your book ranking will go up 100% real active members. Get in touch today for a tailor made package that suits you and your product' individual social media marketing campaign to get your kindle eBooks rocking!